The people at Pop Chart Lab came up with this little beauty.. 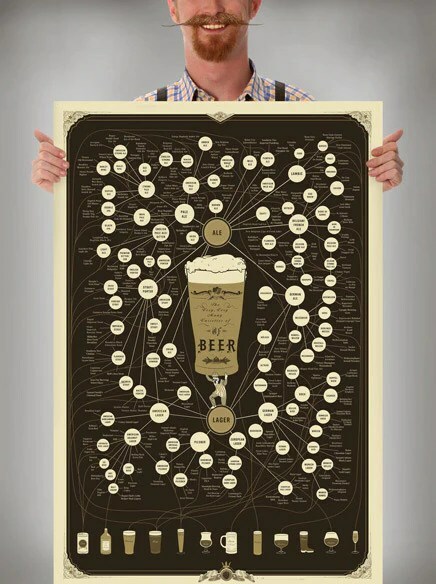 The world’s most comprehensive beer taxonomy is now bigger and better. This new design features 89 varieties of beer with over 200 representative quaffs, including glassware recommendations for each variety, and covers six square feet with beer-soaked goodness. Thanks to my friend Roo for finding it for me!